I don’t particularly like to draw a parallel between Smaug (the dragon from Lord of the Rings) and our company, Compumatrix. However, I do wish to draw into this discussion the long slumber as it appears from the outside (more on this later). Compumatrix is represented by “the Mountain” and the members are the People of the Mountain. The People of the Valley are the ones that have long awaited for the opportunity to come their way that will lift them from Financial Despair. 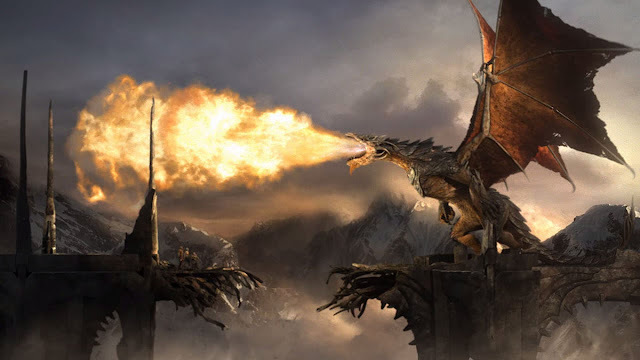 Smaug, the dragon represents the difficulties that Compumatrix had to endure in the efforts to prosper. You can wrap the story line from Lord of the Rings around the story of Compumatrix and you can state you were there when Henry said: COMPUMATRIX, AWAKE FROM YOUR SLUMBER! As stated above, I mentioned the “long slumber as it appears from the outside”. For the People of the Valley, it would appear that Compumatrix was in a long slumber. This has not been the case as there has been several very dedicated People of the Mountain at work and at guard for an extensive period of time. There have been enough movies on time travel that by now, you are totally convinced it is possible. Keeping within the reality of this thought, have you ever read in a history book where someone from the future traveled thru time to change the outcome of an event? Since I can not recall one of these events, I am going to assume everything has to fall into place within its own time reality. I find this to be the case (in my mind) as far as Compumatrix is involved. A while back, I was reminiscing over the events of Compumatrix and realized the outcome was something Henry came up with years ago. Due to the fact that it was ahead of its time (and everything has to fall into the right time frame), my conclusion is we needed to take the correct procedures to put things into place. Hence satisfying Smaug! Do you have a Smaug in your life that is holding back your future?